The 5×8 Search coil from MGC Labs! This is already a firm favourite with Graeme From Unearthed, matched to his G2+ its the perfect combo! Lightweight, surprisingly deep, a really sharp little search coil which is great in the iron, stubble and foreshores, a sure winner for the uk detectorist. 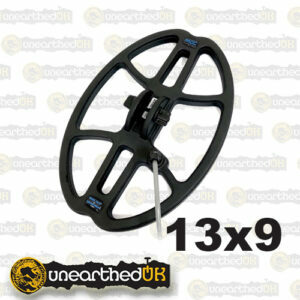 The 13×9 Search coil from MGC Labs! This is already a firm favourite with Graeme From Unearthed, matched to his G2+ its the perfect combo! a Brilliant performing coil matched to the Eurotek pro also! Lightweight, deep-seeking, it really is the ideal all-rounder. 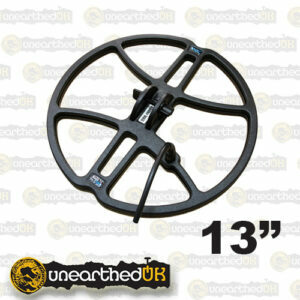 The New Magic 13″ search coil from MGS Labs are new to us here at Unearthed! Brilliant search coils which will give you an increase in depth, ground coverage and are lighter in weight than most search coils of this size! 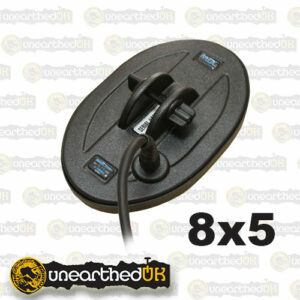 These coils are extremely well made with extra strong coil lugs that wont break with normal usage! Come with Coil Cover fitted, Nut and Bolt Also Included. 24 Month Warranty with these coils.